So my team is pretty much set up, but i could use some more money on the side, so should i hold on to these players or sell them right away? Where do you plan on keeping these coins? You don't get to keep bench players or coins when the new season starts, so if your teams are set, it's best to find some way to eliminate the remaining coins. Buying players for sets, doing a giveaway, etc. It's a buyers market right now as people are trying to get rid of cards they can't take through to next season and folks with coins are looking to spend them. Unless your card is rare or best in position, it's difficult to fetch a high price. I would advise against holding onto them. Even if your team is already set up. you might as well make some money even if you don't end up spending it. why don;t you just build a second account. it's pretty fun tho, bc right now the price is drop like hell and who knows that in the second season there will be cards that expensive in your line up. 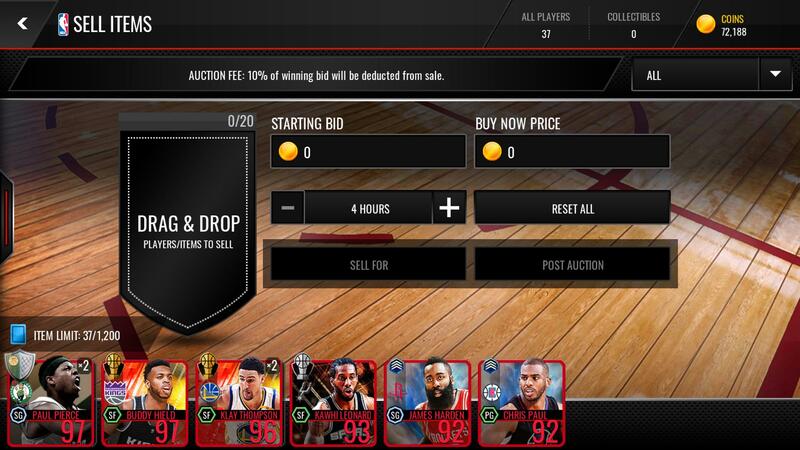 *cough* pierce 98 and 99 price is unreal and i think those card price will going up next season. but who knows. ea prolly drop another 99 card in pierce lineup with bunch of boost or whatever so idk. I guess you won't be able to sell those cards next season.